Performax TA2 Muscle Car racer Russell Wright will travel to the United States of America to compete in a round of the American Trans-Am Series at the Circuit of the Americas in November. The 2017 Australian TA2 Champion will race a Ford Mustang, prepared by Stevens-Miller Racing in the penultimate round of the 2018 Trans-Am Series presented by Pirelli at the Austin, Texas circuit. This deal is a reciprocal arrangement with TA2 car constructer Howe Racing Enterprises, which follows two-time American TA2 champion Gar Robinson’s appearance in the Combined Sedans support races at the Bathurst 12 Hour in February, placing second in a field of 50 in a TA2-specification Dodge Challenger. 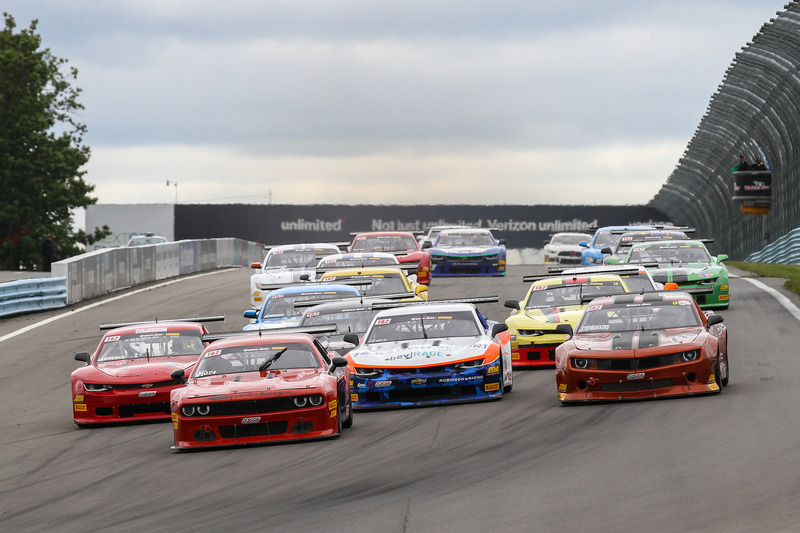 Wright is looking forward to joining the American Trans-Am Series at an iconic circuit. “To say i’m excited about racing at this level in the USA is an understatement, albeit a bit daunting,” said Wright. Series management has expressed plans to send an Australian driver to compete in a round of the US championship annually. “Russell will be very fast and a fitting representative for Australia, i’m sure he will surprise with his pace once he gets his head around the amazing F1 track in Austin,” explained Series Manager Craig Denyer. “Peter Robinson came up with the concept which is a fantastic initiative for the series, and our plan is to hopefully make this an annual opportunity for the winner each year, plus make it reciprocal for the US title holder. Round four of the 2018 Performax TA2 Muscle Car Series takes place at Queensland Raceway on June 23/24 for the Two Days of Thunder event. On 276 points, Wright current holds a five point margin over New South Welshman Hugh McAlister on 271, with Ashley Jarvis a further seven points behind on 264 after he clean swept round three at Sydney Motorsport Park.